Long before Steven Moffat and Mark Gatiss made Sherlock, there was another significant connection between Doctor Who and British literature’s greatest detective. The year following his departure from the TARDIS, Tom Baker slipped the deerstalker onto his head for the BBC’s adaptation of The Hound of the Baskervilles, the best-known novel in the Holmes canon. It was something of a Doctor Who reunion for Tom. The serial was made for BBC1’s Sunday evening classic drama slot which at the time was overseen by Barry Letts as producer and Terrance Dicks as script editor, who had been instrumental in casting the Fourth Doctor. Generally, these adaptations would be lengthy versions of Charles Dickens’ works with the odd Thackeray or Bronte thrown in, so this retelling of Conan Doyle’s classic represented something of a departure. 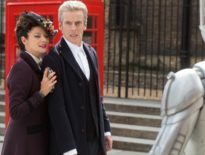 For Baker, it presented a golden opportunity to break free from his well-established TV persona just a year after he had left Doctor Who behind, whilst also keeping himself very much in the TV viewing public’s consciousness by playing a similarly durable lead character. And with the substantial back catalogue of the Holmes canon, it surely must have crossed his mind that if things went well he could again be a regular feature of BBC1’s weekend schedule. It was not to be, however. 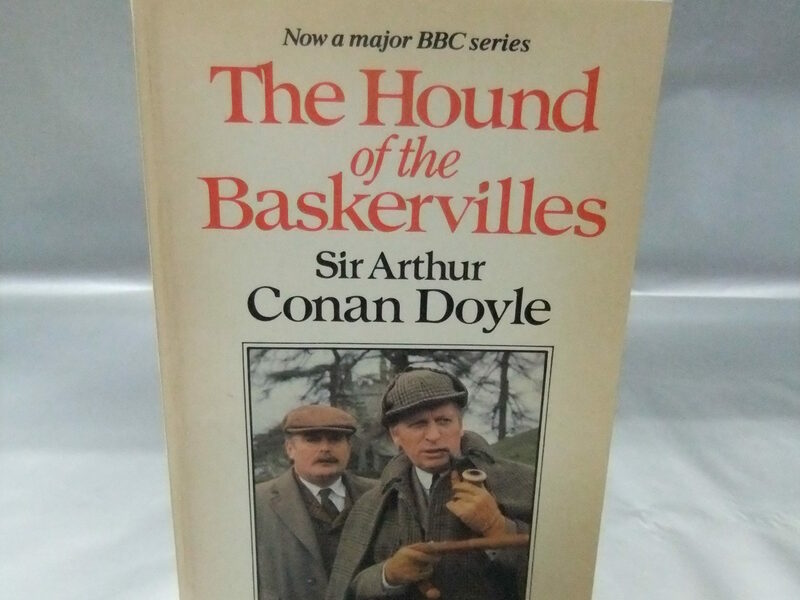 In some ways, the story is untypical of the Holmes novels – most of it is set away from London, replacing the thick fog of the capital with the drifting mist of Dartmoor, where Holmes and Watson are drawn into the curse that has haunted the Baskerville family since the English Civil War. It’s also notable for removing Holmes from a substantial chunk of the narrative, leaving his sidekick to journey to Baskerville to investigate the mystery alone. Holmes appears predominantly at the start and end of the tale, meaning Baker’s screen time is limited. The serial is a faithful adaptation of the novel, made very much in the BBC’s house style of the time with studio interiors shot on video and filmed location material when the story ventures outside. You can find the whole thing on YouTube, and it’s also available for download from BBC Store, but sadly not on physical media. It’s an enjoyable watch, with dramatist Alexander Baron wise enough to leave Conan Doyle’s plot largely untouched and allow the story’s sinister atmosphere to draw the viewer in. Tom Baker seems to have enjoyed himself during filming, later recounting in his autobiography an entertaining tale about how ‘the dog who had been engaged by the BBC to play the hound was gentler than Mother Teresa’ and had to be cajoled with chipolata sausages to attack the actor playing Sir Henry Baskerville. However, his performance seems somewhat subdued and he has been open about his shortcomings in the role: ‘I couldn’t lift the character into that special world that makes Holmes so funny and fascinating’. The series received a mixed reception at the time, one correspondent describing it in a letter to the Radio Times as ‘very disappointing. The interiors were stagey and very poorly lit, the acting was wooden…’. Despite lukewarm reviews, there was apparently talk of doing further adaptations, but in the event no further stories materialised. It seems likely that the main reason why the adaptation isn’t better remembered today is that shortly after the BBC had a go at bringing Holmes to the screen, their ITV rivals Granada trumped their efforts with The Adventures of Sherlock Holmes starring Jeremy Brett. The lush production values were a cut above anything offered by the BBC at the time and Brett’s witty, twitchy, razor-sharp performance was to establish him as the definitive television Sherlock Holmes – at least until Moffat, Gatiss, and Cumberbatch reinvented the part almost 30 years later. ← What Did You Think of Sherlock: The Final Problem?